Luther Burbank, a famed American botanist, horticulturist and pioneer of agricultural science, developed more than 800 strains and varieties of plants over a 55-year career, and he did it all in Sonoma County. Burbank’s enthusiasm for his “chosen spot of all this earth” was based in part on Sonoma County’s “Goldridge” soil: a combination of sand, loam, and clay on a sandstone base that is well-draining even as it varies from porous and soft to rocky and firm. 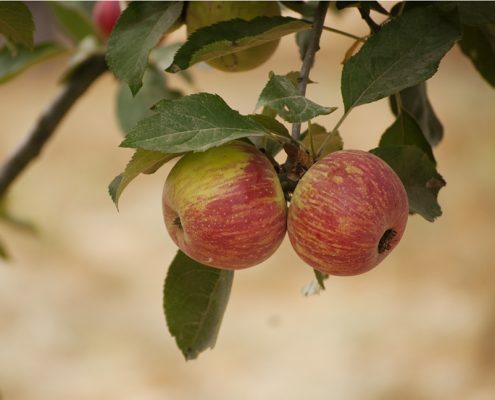 Goldridge soil contributes to the success not only of Sonoma County’s world-renowned and rapidly proliferating vineyards, but also its diverse agricultural crops, including apples. This particular fruit dominated local agricultural acreage when the Bice family founded the Redwood Hill Farm goat dairy in the 1960s. The original farm site included a house for two parents and 10 children, a milking barn, pasture, and a hillside apple orchard, the latter of which provided the prime ingredient for home-made applesauce and pies. In the 1990’s, the Redwood Hill Farm dairy relocated a few miles down the road to its current location. In 2008, it expanded when the property on its southern border was offered for sale. The acquisition included about 10 acres of old, gnarled, neglected apple trees on rootstock estimated to be about 80 years old. Among them were Gravenstein apple trees, a quintessential Sonoma County fruit that’s delicious, delicate, perishable, hard to export, and highly prized. 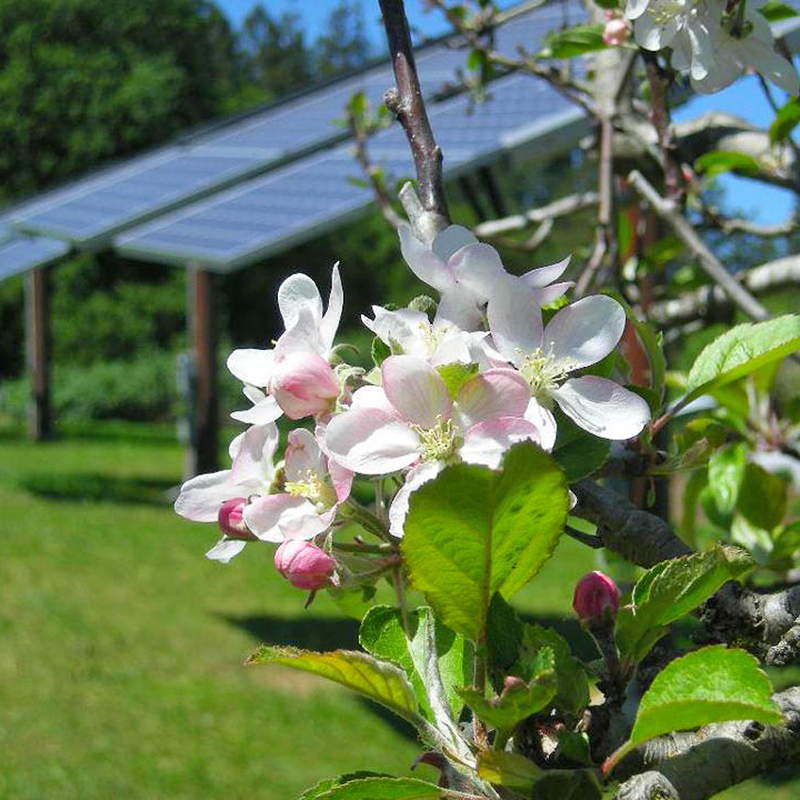 The Bice family and farm staff worked hard to revitalize their marvelous new orchard. They pruned long-neglected trees, removing those that were dead or diseased, and planting new trees – mostly Gravenstein – in their midst. Here and there, other varieties were added, including Fuji, Sierra Beauty, Arkansas Black, and Rubinette. Today, the apple orchard is filled with more than 200 trees of about 30 different varieties, including new bitter sharp and bittersweet types highly prized by Sonoma County’s booming hard cider industry.